Do you prefer a direct booking on your hotel’s website or a booking through an OTA? For the customers, the choice is clear. With increasing parity in room rates, OTAs give more choices to customers. A traveller gets to compare a lot of properties and does enjoy the most basic, yet important, freedom of choice. But what does an hotelier feel about it? An hotelier is always concerned about the decreased margins when the bookings come through OTAs. Direct bookings give you more profits, for sure. But at the same time, one has to remember that OTAs give you more business. 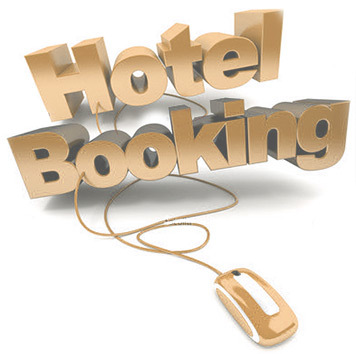 • 76% of all online bookings for hotels come primarily through OTAs. • 20% of your direct bookings also come from the online users who discovered a hotel through an OTA. • Today, 52% of travellers are bound to visit a hotel’s website after having found it on an OTA. • Expedia spends US $800 million on their marketing and Expedia-India witnessed 200% growth in 2012. Hence, your mere presence in an OTA portal opens up a world of opportunities. Both are unavoidable – OTAs and direct bookings. How you draw a fine line between these two and get both of these booking channels to work for you would determine the extent of your profits. Here are some ways you can increase direct bookings for your hotels without antagonising your OTA partners. Give discounts for direct bookings: This is a very tricky challenge, especially if you have a rate parity agreement with the OTAs. If you start giving discounts for direct bookings, the OTAs will lose a share of their business and that is the last thing they will agree with. So how do you go ahead doing this? When a guest checks out, inform them that they can have a small discount the next time they book your room directly. If giving discounts is a tough task, give your returning guests a gift card or complementary dinner if they book directly. Or why not give them a free city tour or airport transfers? Perhaps, you’d like to offer them the best of your rooms? Only your imagination limits the ways you can encourage direct bookings and still not make the OTAs unhappy. Mailers and calls: Check your database. Find out your loyal guests. Send them e-mails regularly with your offers. Spoil them with choices. Ask them if they need a call back to reserve a room. Also ask them to refer friends and earn a further discount on their next stay with you. Social media: Today, social media has more than a billion active users. This presents you with a huge database of travellers. Develop an active presence on major social media platforms, reach out to travellers and give them online discounts for lean days. SEO: Make your content SEO-rich. Your hotel should feature on the first page of Google searches. For instance, if your property flanks the backwaters, ensure that when a traveller inserts keywords like ‘backwaters’ or ‘backwater resorts’, your property features in searches predominantly. For this enhancement in search engine rankings to happen, it needs careful analysis and should be handed over to an SEO expert. If a user finds your hotel even before he lands on an OTA, there is a better chance for a direct booking to happen. A study found out that 75% of users never check beyond the first page of search results. But a word of caution. Now, search engines, such as Google, have come up with complicated algorithms which ensure only the websites with quality content are displayed at the top. So, it pays to have quality web content and not just content full of bland key words. Multilingual: The UN World Tourism Organisation estimates that the Chinese are the world’s biggest spenders on international tourism. In 2012, they spent $102 billion on international travel. Around 29% of the Chinese tourists book their rooms through the hotel website. In countries, such as China, the top ranking search engine is Baidu and not Google. Also, Baidu ranks Chinese language websites on top of others. Moreover, it could also be possible that many Asian and European tourists are entering keywords in their native languages. So, a website in Asian languages or European languages other than English will definitely witness more traffic. And this increased traffic could translate to more revenues too. So, go spread the word in all prominent languages. Go mobile: 1 in 3 travellers booked a hotel room using a mobile device, at least once, during the last two years, according to the recent survey conducted by HRS, Europe’s leading travel portal. Is your hotel’s website optimized for seamless viewing across tablets, PCs and smartphones? If not, it’s high time we did it. A mobile website could be slow in comparison with a desktop version. But remember users are impatient. A study by Google found out that 61% of people will quickly move on to another site if they don’t find the information they were looking for instantly. So invest to have a faster mobile website with a clear and easy interface. Backlinks: Market your hotel’s website smartly. Approach leading travel bloggers and high profile travellers and request them to include backlinks to your hotel. But, ensure that you have links only from quality blogs and websites. So don’t sweat about the OTA’s influence. Finally, they bring you business. However, try incorporating these smart strategies to drive more direct bookings and in turn, more profits.